Callie Thorne and Necessary Roughness are back for a second sporty season to tackle more issues as pro football psychotherapist 'Dr. Dani Santino'. The sports field season two 'Jock Therapy' creatives are a nice follow-up to the series premiere billboard. The standard landscape billboard for the second season was snapped along Sunset Boulevard at Fairfax Avenue, whilst the larger portrait version was photographed on the side of the swanky SLS Hotel along La Cienega Boulevard on May 22, 2012. 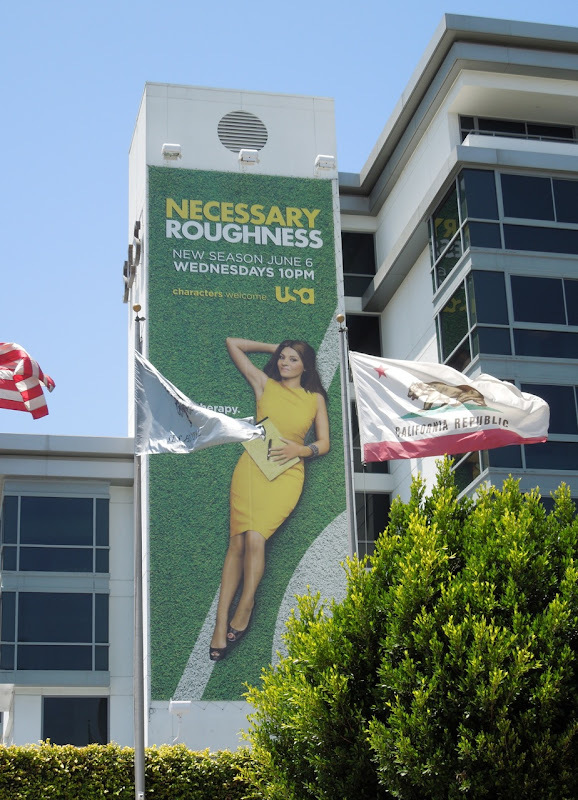 The sophomore season billboard for Necessary Roughness was snapped along Sunset Boulevard on June 14, 2011, whilst the TV Award Consideration billboard for the show's star was captured further east along The Strip later that year on November 9, 2011. Let's see if the American football themed drama can score a third season. UPDATED: It's always nice to see a network who has faith in their shows enough to garner Emmy Award consideration for their stars and here's the latest billboard to support Callie Thorne's bid for Lead Actress in a Drama Series. 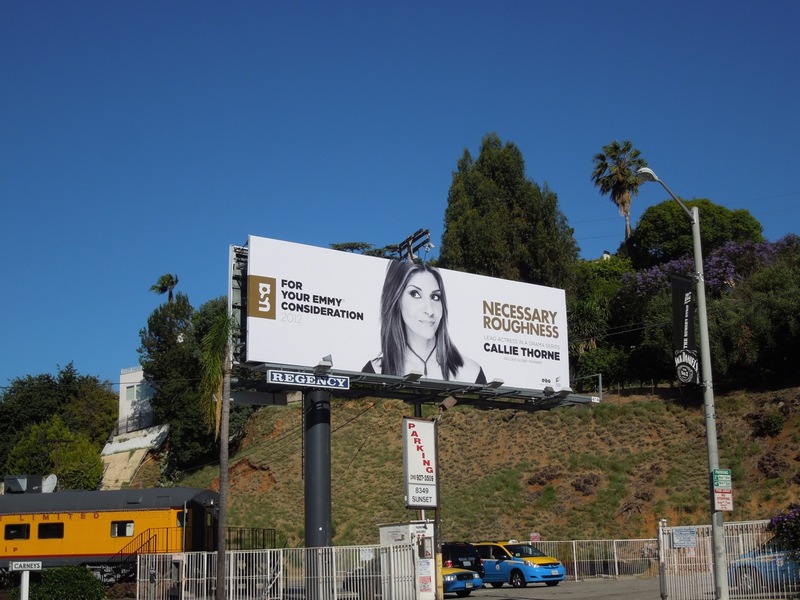 This cool new billboard was photographed along Sunset Boulevard opposite The Standard Hotel on June 5, 2012.